Calvary Community Care (C3) is a not-for-profit Voluntary Welfare Organisation that seeks to serve the needy in the community regardless of race, age, gender or religion. By serving the needy from a heart of love, C3 wants to lift them to new heights of well-being. Their core values are charity, compassion and care. C3 is also looking out for collaborations with student groups to enrich the lives of our seniors. Most of C3’s events and activities depend largely on volunteers and sponsorship. Without support and generous sponsors, the events and activities will not be so successful and meaningful. 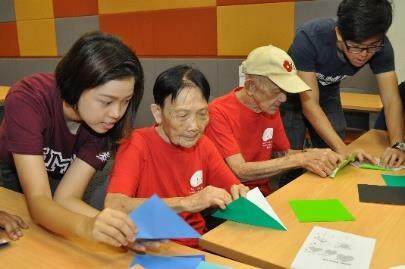 Contact C3 to see how you can partner them to bless the seniors in Potong Pasir. The befriending service involves befrienders (volunteer) making weekly visits to our befriendees’ (socially isolated seniors) residences to offer them supportive, reliable relationships and social and psycho-emotional support. C3 reaches out to and engage lonely seniors (65 years and above) through home visits and coordinate social activities for them with the help of volunteers. The aim is to help seniors age in place gracefully with dignity in their golden years.